The Hornady ELD-X bullet is advertised as a technologically advanced, match accurate, all range hunting bullet. This review covers the 6.5MM 143-grain ELD-X, and focuses on how it performs as a hunting bullet. I’ve been shooting Hornady bullets for as long as I’ve been hunting. Quite a few deer, elk, and bear tags were punched using SP InterLocks in several calibers. More recently, a 7 WSM firing the 162-grain AMAX has accounted for a variety of big game animals. I was looking forward to trying the new ELD-X, which blends the best qualities of hunting and match bullets. This review will include a general description of the 143-grain ELD-X, load data, and detailed terminal performance results. This VIDEO supplements the review, and includes bullet trace and a few hunting kill shots. When Hornady first released the ELD-X, one of the things that got the most attention was the Heat Shield tip. While testing with Doppler radar, they noticed an unexplained increase in drag at distance. That drag was causing a degradation in B.C. beyond the normal loss due to decreasing velocity. They narrowed it down to the polymer used in the tip, which was apparently changing shape as it heated up. Because they were in the process of designing a new bullet, they decided to fix the problem. The new Heat Shield tip is now used in the ELD-X, as well as the ELD-M bullets. Hornady published an excellent technical writeup on this testing, so I won’t waste review space on it. It’s a good read if you’re interested in the technical aspects of bullet testing. There were plenty of skeptics surrounding this discovery, myself included. I’d had no problems with the B.C. I was using for the pile of 162 AMAXs on my shelf. I was more interested in the construction of the ELD-X, and how well it would perform while hunting. The ELD-X (Extremely Low Drag-eXpanding) looks a lot like the ELD-M and the AMAX that preceded it. The 143-grain ELD-X most closely matches the outer dimensions of the 147-grain ELD-M, but their construction differs quite a bit. Hornady set out to create an all range hunting bullet with the ELD-X. That’s a tall order when you consider all the variables involved. 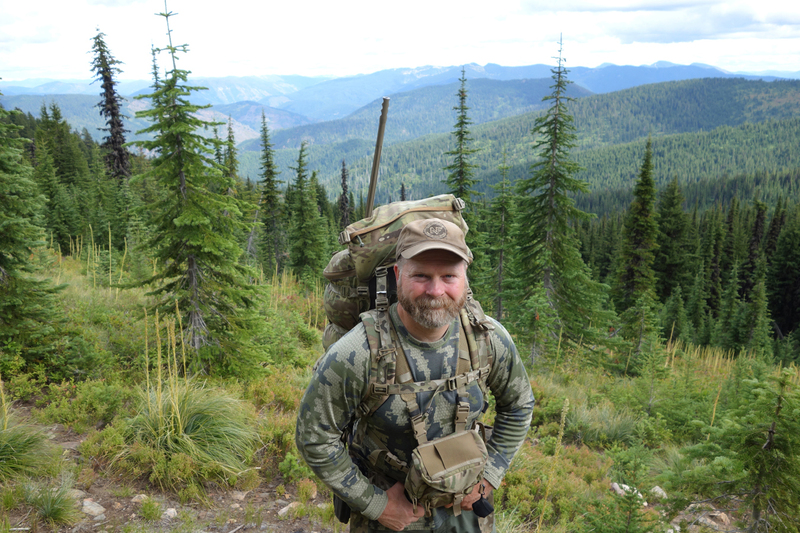 Most long-range hunters gravitate to high-B.C. match bullets fired at high muzzle velocities to maximize range and minimize errors. Match bullet designs typically allow a low impact velocity to kill cleanly, but can be sketchy when used up close. Rather than the thin, uniform jacket used on most match bullets, the ELD-X tapers quickly to a much thicker shank section. Hornady added an InterLock ring, which on the 143-grain ELD-X, is located ~ 7/16” above the bullet’s base. This ring is designed to help keep the core attached to the jacket and limit expansion as it peels back. The nose cavity is designed to allow the tip to initiate expansion on contact. Once it’s shoved in, the thin front section of the jacket rapidly peels back until it hits the InterLock ring. This creates the classic mushroom shape of an expanded bullet, with sharp jacket edges to cause bleeding. Hornady claims expansion will occur at velocities as low as 1600 fps, but doesn’t quantify max impact velocity. Their own testing shows the ELD-X sheds part of its core and jacket during expansion in ballistic gelatin. Our testing and observation confirms that. Small amounts of jacket and/or core material were found on just about every exit wound. 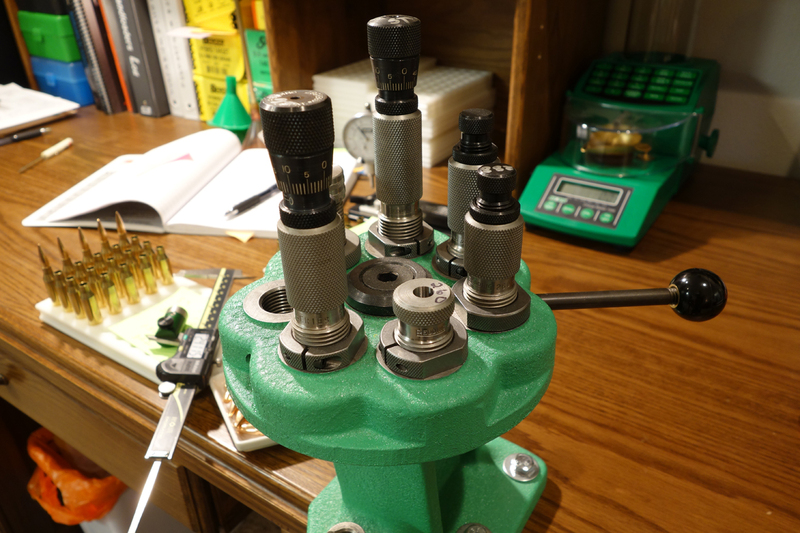 Our initial testing included checking for consistency within a single box of bullets, as well as from lot to lot. We used four different lots of the 143-grain ELD-X during this review. Hornady lists the 143-grain ELD-X as #2635. As far as I know, they’re only available in 100-count boxes. I bought one box each from the first three lots locally. The fourth lot came directly from Hornady. Using the average price charged by my local sources and one online retailer, a box of 100 will set you back $38.00. I think it’s a waste of time to sort bullets for my kind of shooting. I do check bearing surfaces from lot to lot, though. Within each lot, bearing surface lengths only varied by .0025” on the high side, and down to .001” on the low end. The only outlier I noticed was the earliest lot had a BTO of .665” for all 10 bullets. The other three lots only varied from .672” to 676”. Did it make any difference in how they shot? None that I could measure on a target. A good bullet review requires sending a bunch of rounds downrange and objectively reporting on the results. The kids and I logged 834 shots using the 143-grain ELD-X in 2017. I didn’t spend a bunch of time punching paper with this bullet. In fact, my barrel log shows exactly 152 shots taken at 100 yards with rifles firing the 143-grain ELD-X. Load development was short and easy with both rifles we used for testing. Most of our shots were taken at distances exceeding 500 yards. The longest recorded shot was 1540 yards, but most long-range shooting was done between 500 and 1200 yards. The closest shot came at 50 yards, taken while hunting. Targets used for long-range testing included steel plates, rocks, and a healthy dose of ground squirrels. Lots of ground squirrels. 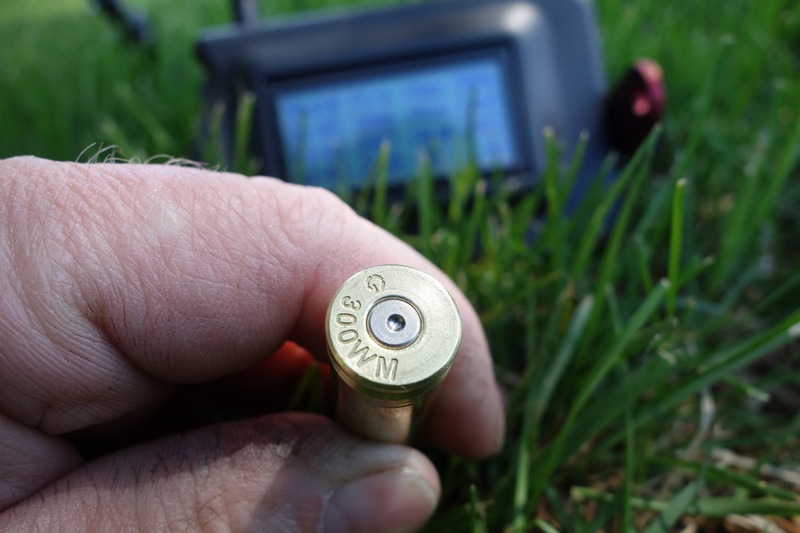 Hornady lists a G7 B.C. of .314 for the 143 ELD-X. Using that value in my Kestrel Elite, a velocity correction of 10 fps was needed to validate at 1300 yards. The two rifles used to test the 143 ELD-X are chambered in 260 Remington and 260 Terminator. They are built on very different platforms, but are proven performers with a wide variety of bullets. The 260 Remington is chambered in a Defensive Edge Sheep Hunter. It wears a 24”, 1-8” twist Hart barrel. Topped with a Nightforce 2.5-10×32 NXS, it weighs just under eight pounds. I hunt with it when shots can come up close and personal, but aren’t likely to top a few hundred yards. It’s a sub-MOA rifle with loads firing the Hornady 140-grain AMAX and Berger 130-grain AR Hybrid. The 260 Terminator started this season with a fresh barrel. For more information on this chambering, click HERE. It’s built on a tactical platform and is designed for precision shooting at long range. 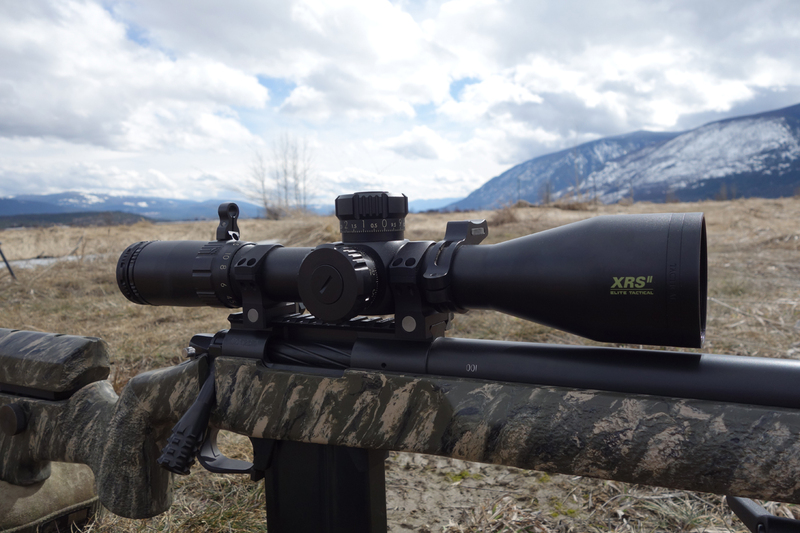 With a Nightforce 5-25×56 F1 ATACR, it tips the scale at just over 14 pounds. Prior to testing the 143-grain ELD-X with the fresh barrel, proven loads were used to confirm its potential. The 26”, 1-8” twist Hart barrel consistently provides sub-half MOA accuracy. Here’s my load data for the 143-grain ELD-X. Keep in mind that these are final loads, not starting loads. Neither load is at max pressure for my barrels, but proceed slowly if you want to use them in yours. Note that the 260 Terminator is not a 260AI. 3010 fps MV was achieved with a compressed load and no pressure signs. We killed eight big game animals with the 143 ELD-X in 2017. Shot distances ranged from 50 to 820 yards, with an average impact velocity of 2370 fps. The first four animals were whitetail deer, removed from an alfalfa field as part of a depredation hunt. We used the 260 Terminator with a suppressor for all four, with shot distances ranging from 276 to 380 yards. Jake with his double. He was the first of us to draw blood with the ELD-X. Three of the does were shot at similar distances–356, 367, and 380 yards. The aiming point on each was the classic crease shot just behind the shoulder. All three were broadside. The first one collapsed immediately, and didn’t get back up. The other two were alert, and predictably took off on short sprints upon impact. All three bullets entered behind the shoulder, caused heavy bleeding from the chest cavity, and exited in a straight line. The 1”- 1 ½” exit hole in the hide was identical on all three deer. Because all three bullets passed through without hitting a single scapula, there was very little damage to shoulder meat. There was some bloodshot under the shoulders, but nothing out of the ordinary. It was textbook bullet performance as far as I’m concerned. A typical exit wound with the 143 ELD-X. We noticed a few tiny flakes of jacket material around the exit wounds of two of the does, but nothing on the third. No bullets or fragments were recovered. The fourth doe was shot at 276 yards. Because of time constraints and the deer’s proximity to a property line, we decided to take a high-shoulder shot. It was a near-instant death that we all like to see when we shoot an animal. The forward edge of the right shoulder was nicked on the entry side, but the bullet exited squarely through the left scapula. The ELD-X also passed through the spine, sending bone fragments into the chest cavity. Small flakes of jacket and core material were found in the exit wound, along with bone fragments. The left shoulder was damaged of course, and needed substantial trimming. Jessica put an ELD-X through the shoulders of this doe, killing it instantly. By the time we’d shot our fourth deer with the ELD-X, it was obvious we wouldn’t find an intact bullet. I wanted to get a look at one, so I rigged up a water trap. Our water trap is simple—we line up several jugs full of water and shoot into them. The bullet penetrates as many jugs as it can, then comes to rest in one of them. I don’t claim it to be an accurate representation of what a bullet does in flesh and bone, but it’s an effective way to expand and recover a bullet without damaging it. We set up six one-gallon coolant jugs full of water, plus a milk jug on either end of them. A 260 Terminator was used for the test, firing the ELD-X at 2940 fps MV. Impact velocity at 100 yards was 2800 fps. We fired two rounds, using fresh jugs each time. Both bullets penetrated to the third coolant jug. When we poured out the third jug, we found the ELD-X had expanded to just past the InterLock ring. The jacket material had peeled back symmetrically, with the expanded diameter roughly twice the bullet’s caliber. There were sharp, jagged edges all around. The core wasn’t attached to the jacket, but was recovered in the same jug. The total of the two recovered pieces of each bullet weighed 67.3 and 81.3 grains respectively. The bulk of that weight was in the jacket, with each weighing ~ 50 grains. Recovered 143-grain ELD-X bullets from the water trap. I was a little surprised to find the core separate from the jacket. The bullets I’ve found in the past with separated cores had massive damage to the jacket. There was no structure left to hold the core in those bullets. That wasn’t the case with the ELD-X. The “cup” part of the cup and core bullet was intact and retained its shape, and the core wasn’t damaged. It was obvious that both pieces penetrated every layer in a straight line together, and to the same depth. I concluded that because the bullet had expanded beyond the InterLock ring, there was nothing left to hold on to the core. Momentum kept them together until they stopped and fell to the bottom of the jug. In the end, I accepted the fact that it didn’t really tell me anything from a realistic hunting standpoint. Five layers of heavy plastic is much harder to penetrate than a deer’s skin. I needed a short-range impact on an animal to see real results. That would come toward the end of the review. In early October, we headed to Wyoming for our annual pronghorn hunt. The 260 Terminator/143 ELD-X combination proved deadly on antelope. That’s hardly a news flash. Antelope are small, thin-skinned animals that are easy to kill if you hit them in the right place. The wind, though, is always conspiring to make that a difficult task. I like an accurate .264-caliber bore rifle for this kind of work. My daughter, Jessica, shot her pronghorn through the heart at 820 yards. She’s kind of a showoff like that, and made my buck at 587 yards seem close. Both bullets expanded, caused impressive bleeding, and exited with identical 1 1/2” holes in the hide. Fragments found in the elbow area of Jessica’s pronghorn. Because Jessica’s buck was now our furthest kill with the 143 ELD-X, I was particularly interested in that wound channel. Under those conditions, the bullet hit the pronghorn with an impact velocity of 1993 fps. It obviously expanded before it hit the heart, but I couldn’t tell how much. The expanded ELD-X hit a rib on its way out, and exited through the edge of the right scapula. When I butchered that shoulder a few days later, I found a few core fragments below the exit wound. The were the only large bullet fragments we found during this review. The next animal to fall to the 143 ELD-X was a mountain lion. The whitetail rut was just starting to ramp up, and I wasn’t the only one hunting the hillside that day. I had just set up for an afternoon long-range ambush. I immediately spotted a whitetail doe feeding in the open with my Leica Geovid. Out of habit, I punched the range button. The HD-B told me she was 600 yards away and I needed 10.5 MOA to reach her. I started picking apart the timber behind her, looking for more deer. Within seconds, a brown flash came running toward her through the trees. My first thought was a buck was coming in to check her out, but when I saw the long tail swirling, I knew I was looking at a cat. I rolled off the binos and chambered a round in the 260 Terminator. I dialed 11 MOA into the scope, and quickly found the lion in the lens. As it crouched at the edge of the trees, I estimated one minute of wind and held accordingly. I saw the bullet hit the cat at 620 yards. The lion jumped straight up in the air as the sound of the impact reached me. It flailed on the ground before jumping up again, then dashed off to the right. The impact velocity on this shot was 2143 fps. The lion died 40 yards from where it was hit. The ELD-X penetrated its chest cavity, expanded, and left a clean 1” exit hole. I found a furrow in the dirt left by the bullet after it exited, but didn’t find the bullet. Exit wound in the mountain lion. The final shot for this review came during the last few days of Idaho’s general deer season. The rut was in full swing, and I was carrying the 260 Remington. A change in tactics was called for. The kids and I spotted and passed on several two and three-year-old bucks over the past couple of weeks. Mature bucks were nowhere to be seen, and time was running out. The last night of the season that Jess could hunt with me found us in one our most productive areas. We stayed on a very wet stand until dark, but didn’t spot a single deer. It was depressing. I returned by myself the following afternoon, and decided to hunt the same area, but from a different vantage point. The most likely shot would come at the treeline 300 yards away, so I set up accordingly. I settled in and started calling, trying to make myself sound like a lonely doe. I caught movement from the corner of my eye, right at sunset. As I focused on it, I realized it was a buck below me, walking slowly through some reprod timber 50 yards away. I settled in behind the rifle just as he stopped with his head behind a small tree. When he stepped out from behind it, I knew he was a shooter. Unfortunately, he was looking right at me and I didn’t have a clear shot yet. He took one more step and quartered slightly toward me for a better look. I settled the crosshair on his right shoulder as close to the tree as I dared, and sent a bullet his way. The ELD-X slammed into the buck at 2748 fps, one inch forward of the right scapula. It expanded and exited a few inches behind the left scapula. The buck collapsed and started kicking, obviously hit hard. I did a mental high five, and let the adrenaline wash over me. I was quickly reminded though, that a mature whitetail buck is a different sort of animal. Much to my surprise, he decided the fight wasn’t over yet. He got up and started stumbling away, and didn’t offer a good follow-up shot. He stopped 20 yards later, and turned his head to the left as he passed between two trees. I lined up a shot on his neck and dropped him for good. That bullet passed through the third vertebrae, killing the buck instantly. I don’t like neck shots, but as a follow-up, it’s all I had. The exit wound from a 50-yard shot on this buck. There was no doubt in my mind that the buck would have died quickly without the second shot. When I walked up on him, there was a chunk of liquified lung material close to the initial exit wound. The expanded bullet had passed through the front of the lungs and the chest cavity was full of blood. There were a few small flakes of jacket material around the rear edge of the shoulder, but the bullet clearly exited intact. If you look closely, you can see the buck’s neck is shattered. The shot that impressed me the most, out of any taken during this review, was the neck shot. The vertebral column is tough to penetrate without destroying bullets. I haven’t had penetration problems in the past, but I’ve found a lot of jackets around these exit wounds. After skinning the buck, I picked through that shattered bone carefully. There were a few tiny pieces of core material mixed in with bone fragments, but no jacket. The Hornady 143-grain ELD-X is a hunting bullet that will work across a broad range of situations. It delivered the precision, consistency, and lethality we need for long-range hunting. At the same time, it was tough enough for the close work. There was a post on Facebook yesterday where the guy claimed Hornady ELD-X bullets were unpredictable. I couldn’t help but think how far off the mark that statement was. I can’t speak to all calibers, but I found the 143-grain ELD-X to be 100% predictable—eight times this year. It’s an excellent bullet for hunting deer-size animals, and I wouldn’t hesitate to use it again. For more information on the ELD-X line of bullets, visit Hornady’s website, HERE. Thank You to Neal Emery and Hornady for supporting this project. Sam, thanks for the awesome review! I’m glad they worked well for you. I really wanted the 162 gr ELD-X bullets to work in my Remington 7mm Rem Mag. I tried everything I could think of but could get them to shoot in my gun. Groups at 100 yds were 1.5″ or worst. Some up to 3.5″! With my magazine, I was limited to no closer than .055″ off the lands. I finally gave up and went back to the 168 gr. Berger VLD Hunting and my first group was .32″. Most groups are around .75″ and nothing over 1″. Needless to say, I didn’t use the ELD-X bullets for elk this year. Great buck, and informative review, Sam. I shot an Alaskan moose at 1050 yards in the shoulder with the 212 eld x and dropped it in its tracks. Blew through both shoulder blades and came to rest against the far side skin. Opened up perfect and did it’s job. I was shooting a 300 rum at 2940 fps. to take a small mule deer at 465 yds. The buck was slightly quartering away. The bullet broke the 6th rid from the back going in, took out both lungs and the main artery under the back bone, broke a rid on the way out(high on the off side), through the shoulder w/out hitting the scapula , and came to rest under the skin. The bullet mushroomed to the interlock ring and then some. Also found a small junk of lead next to it. The main cup and core stayed together though. The bullet maintained 42% of its weight. After what it went through, I’d say it did what it was supposed to do. The buck dropped in its track. Looking forward to using the 143’s in my 6.5’s. First off I always enjoy your youtube videos and the content in your webpage, and I have learned much, but out of curiosity you were hunting deer correct? Why did you shoot the Mountain Lion? and do you eat mountain lion meat? In Idaho, lions are classified as big game animals. They have a take season and tags are required. The meat doesn’t have to be recovered, but I do because it’s delicious. It’s very similar to pork tenderloin. This is the second lion I’ve killed while deer hunting. There are a lot of cats in the area I hunt. While I think this was a rare opportunity, I’m also surprised that we don’t see more of them. They’re very nocturnal, so trail cam pics, tracks in the snow, and kill sites are usually the only indications of them being around. Years ago my family had a close friend that was a professional outdoor photographer. This was in the 16MM days. Occasionally he would travel through where we lived and we would set up in a unused room at a local restaurant and he would show his latest movies. He had everything from BigHorns in the Rut to Mallards sliding on ice. one of the stories was a Mountain lion hunt. They ran with dogs. I learned a lot that night. The big Cats are good for a short burst. but not made for a race like Deer or Coyotes. in the high desert there are not many trees so the cats have to run further than they are made for. If it takes very long to find a tree their lungs rupture and they start to hemorrhage. The dogs are baying the cat that is bleading from the mouth and nose. This friend said they killed the big cat with one ball bearing to the head from a sling shot/wrist rocket. The kill was more humane than the hunt. I have killed more than my share of everything I have hunted. There is no sport in Mountain Lion hunting. I can see exterminating a pest. If a cat is old and can’t hunt in his natural state and has to move into town and becomes a problem, Then kill him. If the population gets so dense that they are a problem then Bait them and trap and relocate or kill them. Just my opinion but Killing a mountain Lion is not a sport. I can’t imagine taking pride in killing a Mountain Lion. On another tag, I have a 7 REM Mag that will group 150 and 162 ELD-X consistently sub-half MOA and one group with 162 that was one jagged hole @ 100 Yds. That’s with an ASR from Montana Rifle Company. They make good barrels. I disagree with your statement “however due to over zealous hunting the numbers are dwindling and now are only seen in a few western states”. In fact more Mountain Lion sightings have been seem in Nebraska in the last ten years than the past 40 years. The Big Cats also have found a home in the Lose Hills of western Iowa in the last 10 years. Game and Parks biologist report this migration due to the over population of the Big Cats in the Rockies. I was surprised at last light by a cat 2 years ago, she walked onto the trail 175m ahead of me, stopped, looked over her shoulder at me and headed towards the large stand of mature Douglas Fir that the trail went through. I had another hours walk out of the woods and I was not to comfortable with the idea of a mature cat being able to drop onto me so I quickly laid down, put the cross hairs on her and sent the 139gr 7mm GMX into her right shoulder. I’m very happy that I did because when I got up to her, even in the fading light it was very obvious that she had been hit by a vehicle, probably on the logging main line I was headed toward. She was missing her hide from her right hip past the knee and almost to the paw. That poor girl was hurt pretty bad and stunk to high heaven. I’ve seen 2 cats while hunting, they are around. I live on Vancouver Island and we have no shortage of them. An old timer told me a few years ago that if I was in big timber and thought was alone, all I needed to do was look up above line of sight and look for the swooping tail, like us in a tree stand, they get just above line of sight because its not normal for us or prey to look up and scan into the trees unless what we are looking for is up there. Good job on the big cat kill. Them beasts can wreck hovac on the deer population! Hey sam. Awesome review, again. Have you, or can you, do a comparison between your drops using a BC vs the hornady custom curve on their app? Im curious at to what you find out. Ive been comparing the custom curve on the 225eld with the listed bc numbers and it doesnt really match up. I got the App on my phone, but after messing with it for a few minutes, decided it was something that would just complicate my life. There are too many simpler options out there that do just fine! Thank you for an in depth review, and as far as I know the first extensive review with descriptions, pictures of wounds and video of killshots and testing. I´ll bookmark your page and keep reading, bullet testing is exactly what i want to see in the future too. I have a question, when you hunt you use the Kestrel if I´m not mistaken, but do you also have the knowledge to take calculate shots without using the kestrel? I surely do think so as the kestrel hasn´t been around for that long and I know you´ve been hunting for many years. I just bought a new Tikka T3 in 6,5×55 SE and I´m looking forward to start reloading in the coming months. Initially my bullet of choice was gonna be the 147 gr ELD-M both for long range hunting and target shooting, but would you rather recommend going with the 143 gr ELD-X´s? Yes, I have used several different methods for calculating drops. The 5700 Kestrel is a fine tool for it, though. As far as which bullet to use, I know the 143 ELD-X works well. Based on my past experience with the 162 AMAX, I’d assume the 147 ELD-M would work as well. I would get a box of each to try in my rifle. Great review. I also liked your review on the 130 Berger OTM. With your opinion since you used both for a full hunting season, which did you like better? Any big preference? They both worked very well for us. I would use the one my barrel likes better, and not worry about it. If they shot the same, I’d give the edge to the ELD-X for hunting. Sam, great write up. I own a 6.5×55 Swede Tikka T3X and will be using the 143 eldx for deer. Would you consider the 143 eldx as an option for moose? If I were to shoot moose or elk with the 143 ELD-X, I would limit myself to broadside lung shots. Thanks for the info Sam! I had asked you this very question on your Youtube channel. That’s good to know that you think the bullet will work on those really Large animals. When the Hornady Precision Hunter ammunition came out with the 308 Winchester loading with the 178gr ELDX, I decided to try a round on a yearling elk calf at approximately 80 yards. The impact was low, behind the shoulder into the lungs, and into the offside shoulder. The bullet completely disintegrated at less than 2600fps. The bullet entered the ribcage with a 2.5″ hole, already coming apart, destroyed the lungs and heart with shrapnel, and created a 2″ exit through the opposite side of the rib-cage. There was no exit. Fragments from jacket and core were found extensively in the off-side shoulder, as was the bullet jacket base, sans core. Contacting Hornady technicians about this performance, I was told that bullet performance was as expected! When pushed to explain what I should expect from an additional 300fps from 300 Winchester handholds with this bullet, I was told that I should be using the GMX if I wanted intact bullets with full penetration. Weasel. As a 6.5 shooter also, this is encouraging to read that bullet performance of the 143gr ELDX is MUCH better than what might be expected with the 30 cal 178’s! Hi Sam, great review. I am building a 6.5 PRC rifle – hunting as the main application. Have you tested the ELD-M and the ELD-X side by side? I need to decide which bullet to match for my gun with a ballistic turret. I was leaning towards the 147-grain match bullet, but if the 143 grain performs that much better as a hunting round, then I think I have my answer… go with the 143-grain ELD-X. Thanks again for a great article! I haven’t tested the 147 ELD-M, other than to slice it open to compare it to the 143 ELD-X. Sam, as a fellow Idaho Panhandle resident (not a native unfortunately), and a 260 Rem owner, your YouTube videos and write-ups give me hope for those longer shots. My Tikka Laminated Stainless with 20″ barrel is giving me sub 1/2″ groups with 140 gr. Hornday SST’s and 42.5 gr. of IMR4350. This sounds good, but because of that 20″ barrel, I’m only seeing MV of just under 2700fps. I know it’s still enough for deer, but I don’t like it. I’m still developing the load but want to switch to ELD-X’s as I don’t use the cannelure on the SST’s, as my bullet is seated out further than it. This write-up sealed the deal. I’m switching over. What twist is your 260Rem barrel (I’m pretty sure you mentioned this in one of your videos, but I can’t recall)? My Tikka is 1:8″ and I worry about it being too fast for lighter bullets. Do you use lighter bullets/loads for smaller critters when you guys aren’t vaporizing squirrels? I saw your load data using magnum primers. What benefits are you seeing? Anyway, thanks for all of your quality information. It is very helpful. All of my rifles in 6.5MM are 1-8″ twist. The lightest bullets we use in them are 130 grains. The CCI 250s have given us good results in several barrels, which is handy because I only have to keep one primer in stock. Having said that, every barrel is different, so I would try them first before buying a large quantity of them. If you are looking for a 260 Terminator I have one for sale. Let me know if your interested. Awesome write up. Looking at getting my first rifle soon. Would the 143 grain eld x be sufficient for elk in your opinion? My creedmoor has taken 4 elk now from 100 to 505 yards with the eldx. The 2 elk at 500 yards had the rear half of the bullet in the hide on opposite side. They expired quickly. My ultra mag now sits out most of the time. I’m a believer….just hit it where your supposed to. Sam, how did you measure the bearing surface length? I assume that you have compared groups of different bearing surfaces and found a detectable difference in group size? Thanks for the great review it was just what I have been looking for. I’ve been looking all over the Web for a review of how the ELDx hits game animals, and not targets or gel blocks etc. You gave me the report I needed to see. I’ll be using ELDx bullets in my 308 next hunt. Thank you so much for a great review. I just took a 4×4 whitetail in Edmonton with a 300 WM using 220 grain ELD-X at about 2800 fps. This was my first time using them in the field. I took the deer at about 200 yards in a gas cutline, the deer was at a 45 degree angle to me. I put the shot about 2 inches behind the shulder blade however the deer ran about half a mile. The shot was later in the day and we needed to retrive it the next day. The deer clearly lived through the night. The chest cavity was never penetrated, there was a large would cavity behind the shoulder and fragments appeard to come out in front of the shoulder. Despite this there was extremely little blood loss and the animal appeard to not be limping. I started reading about the ELD-X shortcomings and think I may have and example of such a case. I wasnt able to retrieve any fragments but assume it came apart like many other have seen. If the deer was 45 degrees to you and you placed the bullet 2 inches behind the shoulder….why would you blame the ammo? My daughter and I both use the eld-x in the same projectiles…I enjoyed reading your article and hate reading…. I am soon to be 73 yo. March 17th actually. I was reloading before you were born. off your site than anything I have seen. you have considerable hands on experience. Most of all, you really like the 260 Remy. do with my 260 or 260ai. You have provided a wealth of info and for that I thank you. Thank you, and I agree with your assessment of the 260 Remington! Hi Sam really like your posts and reviews . Now all my buddies are going nuts about the 6.5 creedmore but I want to be a little different and after reading all your good info on the 260 rem that’s what I m going with. I have been reloading for 21 years so I know a bit about all the variables involved. So not having the funds for a custom rig I wanted to get your opinion on best mass production rifle in 260. Been looking at the salvage 110 preditor. So what’s your thoughts on this rifle?